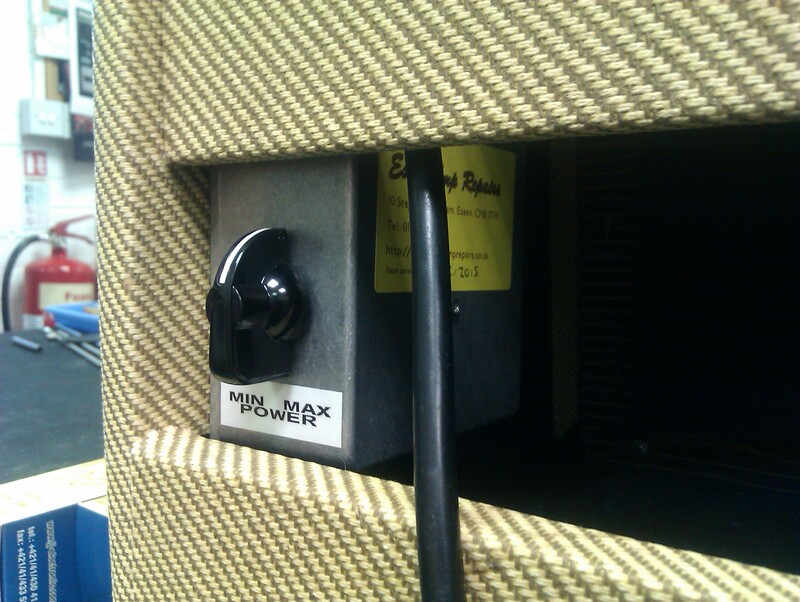 Essex Amp Repairs variable power control module, as fitted to a Fender Blues Deluxe. This upgrade provides smooth power control from full power down to around 4 watts. With this cool mod, you can get proper power stage distortion at much lower sound levels.